Our BIM (Building Information Modeling) software services are backed by industry specific experts who facilitate cloud-based data sharing, automated BIM coordination processes, standardized quality workflows, and simplified design review. Chetu provides custom Building Information Modeling (BIM) software solutions, including the development of powerful rendering engines, 360° VR/AR experiences, rich attribute libraries, intelligent data parameters, and automated workflows. We provide solutions for 3D, 4D, 5D, and CAD applications. We integrate BIM applications with project management systems and other AEC software used for cost estimation/takeoff, bid management, and ERP. Our third-party BIM integrations cover Unity, Autodesk Revit, Rhino, and other popular BIM platforms and services. Our BIM coordination software solutions include custom configurations of clash detection protocols, which prevent design conflicts due to physical overlaps, building materials, building codes, and workflows. We also program Role-Based Access Controls (RBAC) and audit trail databases to further ensure data integrity. 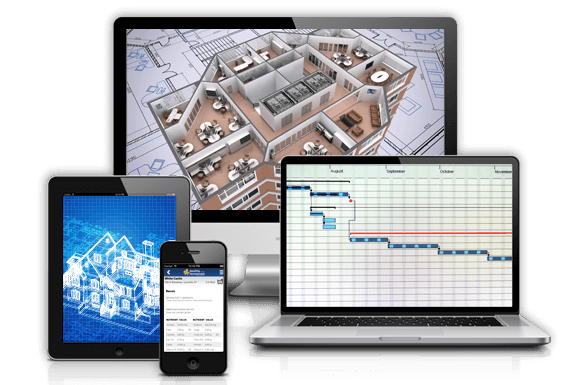 By integrating BIM facility management software with Integrated Workplace Management Systems (IWMS) and CAFM programs, building managers and stakeholders can maintain a database of licenses and certificates, accounting information, vendor contacts, maintenance histories, and operational manuals. We add energy management functionality to BIM software systems so architects and engineers can optimize fuel usage, natural light saturation, urban planning considerations, and solar panel plans. Our other energy solutions include landscape carbon emission algorithms and interactive temperature control models. Our developers integrate BIM applications with proprietary and open-source Geographical Information Systems (GIS), ensuring data interoperability by facilitating the use of BIM files as comprehensive GIS features or converting individual BIM objects to GIS and IFC/ifcXML file formats. Our Autodesk BIM software solutions enhance MEP (mechanical, electrical, and plumbing) designs, fabrications, estimations and installation, which streamlines projects, and increases project collaboration and productivity. Our experts provide cloud-based BIM services that allow project team members to connect and share the latest project data and models from anywhere in the world. This enables stakeholder to remotely oversee scheduling and coordination, and streamline workflows.